It’s been a couple years since we got to slip into J.K. Rowling’s Wizarding World, courtesy of FANTASTIC BEASTS AND WHERE TO FIND THEM. Now the sequel, THE CRIMES OF GRINDELWALD, is on the way — it opens on November 16. The movie picks up a short time after the end of the original movie. Newt Scamander (Eddie Redmayne) is still at odds with the Ministry of Magic, and now there’s a new problem: the dark wizard Grindelwald (Johnny Depp) is loose. The first movie was all about Newt Scamander, but we did hear mention of his brother. That’s Theseus, played in the new film by Callum Turner. Theseus is Newt’s older brother, and he’s got a powerful position in the Ministry of Magic. He’d like to help Newt out, but the younger wizard doesn’t make things easy for his older brother. Theseus and Newt don’t always see eye to eye, especially when it comes to dealing with magical beings in the “official” manner. There’s also the fact that Theseus is engaged to Leta Lestrange (Zoë Kravitz), with whom Newt seems to have some history. Katherine Waterston’s character Tina Goldstein spent the first film trying to prove herself. Once an Auror, she’d been demoted within MACUSA. Newt’s appearance was initially a problem for her — he was letting magical beasts loose in New York City, after all — but by the end of the first movie, she had regained status. 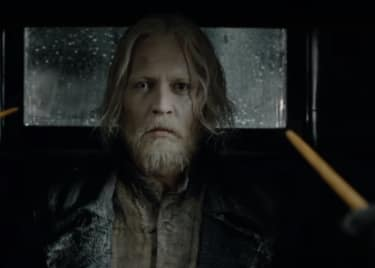 Helping to capture Grindelwald during his first appearance probably didn’t hurt. Now Tina is an Auror once again — and she’s got a pretty sleek new wardrobe to match her title. She and Newt ended the first movie seeming to be on pretty good terms. But when the new movie opens, Tina is clearly not thrilled to see her friend-maybe-boyfriend again. So that’s a problem, at least for Newt. And when Grindelwald gets free, that’s a problem for Tina, and for everyone else, too. This couple was the beating heart of the first movie. Jacob Kowalski (Dan Fogler) is a regular New York guy who just wanted to open a bakery. His attempt to secure a loan led to meeting Newt, which lead to learning about magic, which led to meeting Tina’s sister, Queenie (Alison Sudol). The two fell for one another instantly — and Jacob wasn’t even too freaked out by Queenie’s ability to read minds. When FANTASTIC BEASTS ended, Jacob and Queenie were reunited, despite most of his memory of the film’s events having been wiped out. The good news is that the couple is still together. 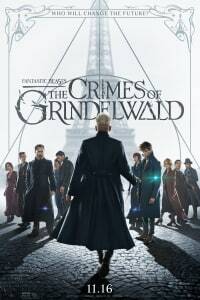 The bad news is their relationship is a little weird at first — and it might get even more strange as tensions rise while Grindelwald is out in the world. Finally, there’s Credence. 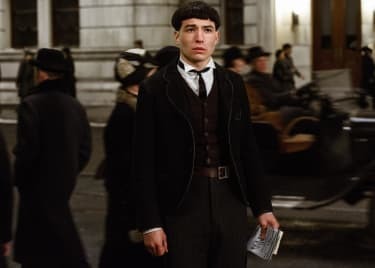 Ezra Miller’s character was revealed to be an Obscurial — someone whose inability to express their magical identity results in the development of a powerful dark force called an Obscurus. Most people like Credence die early, but he has lived longer, and grown more powerful, than anyone else like him. Credence lived through the explosive end of FANTASTIC BEASTS. 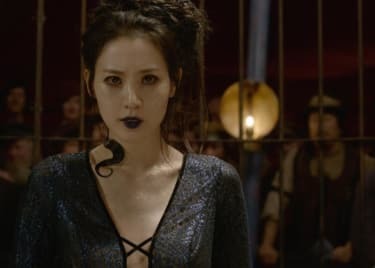 When the new movie opens he’s associated with a circus which exploits magical beings — including Nagini (Claudia Kim), who is cursed to turn into a serpent every night. All Credence wants is to know about his past, and to find his real family. That desire could be exploited by Grindelwald, who could really use a powerful person like Credence. So now you’re all caught up, and ready to see what the story’s new chapter has to offer.